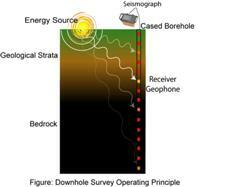 Borehole seismic surveys can be carried out in several different ways. 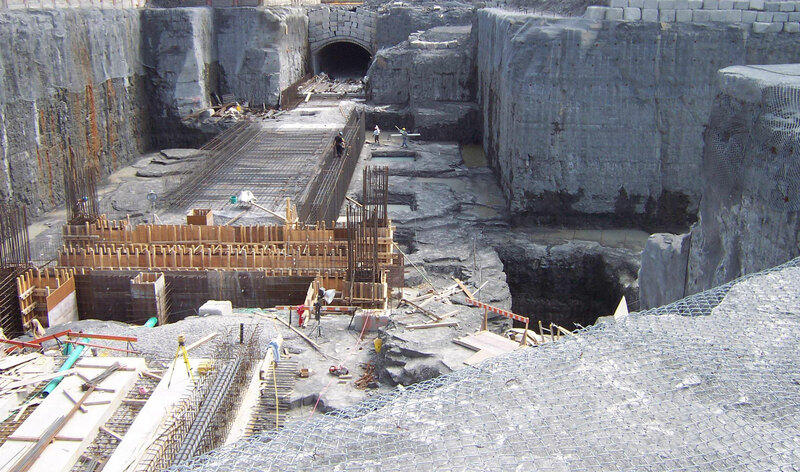 The Down-hole technique consists of measuring the arrival of seismic waves emitted from the surface in increments down the borehole. The Cross-hole technique uses a seismic source located in an adjacent borehole. The receiver in both cases is a tri-axial geophone. This enables profiles of seismic velocities from compressional (P) waves as well as shear (S) waves to be obtained. Accurate 2-D maps of seismic velocity variations between boreholes can be produced by processing the data using specialised software. 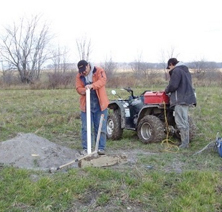 Borehole seismic techniques include down-hole, cross-hole and seismic tomography methodologies. Detection of faults and shear zones in bedrock.